Tomasz Krzyżowski heads Baker McKenzie’s M&A and Private Equity Group in Warsaw. He routinely works on corporate acquisitions and disposals and has led a series of private equity transactions in Poland and in such countries as Czech Republic, Germany, Ukraine, Georgia and Bulgaria. Tomasz Krzyżowski focuses his practice on giving advice on private equity transactions for a range of funds active in the Polish market. He also has broad experience in takeovers through the acquisition of shares or assets, as well as reorganizations of companies. 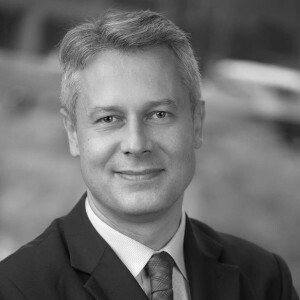 Tomasz Krzyżowski is seasoned in cross-border, multijurisdictional transactions with a special focus on Central and Eastern Europe, as well as Southern and Eastern Europe. He is recommended in Private Equity by Chambers Europe and PLC Which Lawyer. Legal 500 recommends him also in Corporate/M&A. Tomasz Krzyżowski was awarded the BTI Client Service All-Star Award in 2016.